If yes, then contact our South Gate truck accident injury & wrongful death accident lawyers who can provide experienced legal assistance for those injured in a truck, car, motorcycle or any other kind of accident and also for family members who were injured or who died resulting in a wrongful death claim. We extend our expert services to relatives and families of those killed in a truck accident or any other accidents and need expert attorneys in wrongful death claims in South Gate, Los Angeles and all throughout California. Our lawyers approach each truck accident case tactfully to assist victims and their families and aim to acquire maximum compensation for all injuries, loss and damages. So, if you are a victim of a truck accident, or need assistance with any another kind of personal injury claim in South Gate, Los Angeles, contact our experienced, aggressive and reliable truck accident lawyers for a completely FREE CASE CONSULTATION. In case, you wish to know more about the personal injury claim process or what should be done after a truck accident or collision, please go through our Truck Accident Advice Page. For more information on our team of experienced lawyers, please visit our home page and our lawyers’ profile. And for specific help with your own truck or other accident, just call us now at 818-222-3400 or 1.866 INJURY 2 (after hours, dial “1”) or simply click here to reach us 24/7. ABOUT SOUTH GATE, LOS ANGELES COUNTY, CA South Gate is the seventeenth largest city in Los Angeles County, California. The city of South Gate is located just seven (7) miles southeast of downtown Los Angeles and forms a part of the Gateway Cities region of southeastern Los Angeles County. 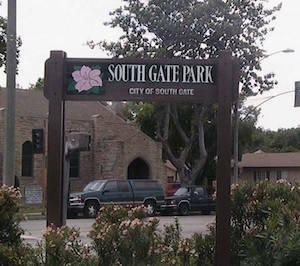 In 1990, South Gate was one of ten U.S. communities to receive the All-America City Award from the National Civic League. According to the U.S 2010 Census, the city of South Gate had a population of 94,396. Some noteworthy residents of South Gate, Los Angeles County have included Nobel Prize winner Glenn Seaborg, publisher and movie producer Lou Kimzey, former NFL Commissioner Pete Rozelle, and many. 2013 Fatal Car Crashes and Road Traffic Accident Statistics for South Gate, Calif. The mammoth size and force of trucks, like big rig commercial vehicles, can be a major safety concern for those who travel alongside them every day, particular in smaller vehicles like cars and motorcycles. Determining the cause of a truck accident is of utmost importance when pursuing a legal case for compensation for injuries and damages incurred in a truck collision. For expert legal assistance and to better understand the intricate details of your truck or other personal injury case, contact our experienced truck accident personal injury attorneys and wrongful death accident lawyers now by phone or email LINK TO CONTACT BOX who can better explain things to you about your specific case and simplify the legal process and formalities pertaining to your case. Remember: Our South Gate and Los Angeles injury lawyers offer FREE & CONFIDENTIAL case consultations & evaluations; and on accident cases we work on a contingency fee which means there is NO fee until you WIN! We Offer an Absolutely Free & Confidential Case Consultation and Case Evaluation! 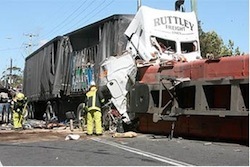 Contact Us With The Details Of Your Truck Accident Personal Injury Claims Today! Click Here 24/7 to fill-out our quick, easy and FREE contact us form and tell us all about your truck accident or other injury accident case so we may evaluate it for you and let you know what to do and, sometimes even more important, what NOT do. You can even send us an email at anytime to info@WalchLaw.com. FREE & CONFIDENTIAL Consultation and There is NO FEE Until WE WIN! We look forward to speaking with you and helping you resolve your personal injury or wrongful death accident claim in South Gate, Los Angeles County and anywhere in California.